Orchestre Toubab was founded in 2010. It is an acoustic afrotropical jazz quartet. The name of the band is a reference to the mythical ‘Orchestre Baobab’, a legendary senegalese band. “Toubab” is also the name by which the Senegalese refer to the Europeans. The name of the band thus clearly depicts the musical identity of the group which gets a large part of it’s inspiration from the music of western Africa. 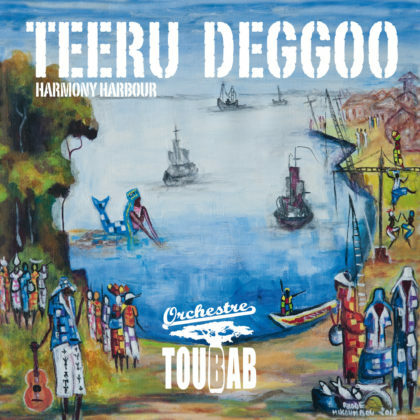 OrchestreToubab plays original compositions by Robert Falk, half-way between jazz and world-music. Instruments are nylon guitar, violin, double-bass and percussions. Their first CD “TukkiJaneer” takes us along an imaginary voyage. The opening track, ‘FuutaBlues’ teleports us immediately on the banks of the Senegal river where the Tukuleur people are living. The voyage then continues in Brazil, Congo and even further into a mythical Phrygia with a few stops along the way in blues and progressive jazz. 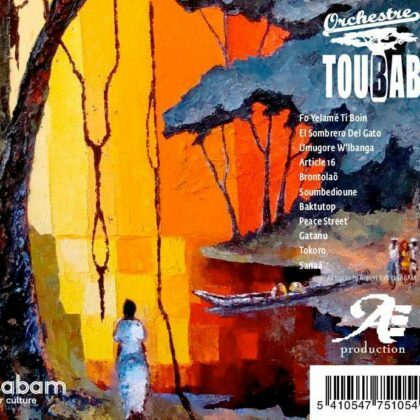 Orchestre Toubab’s consciously eclectic repertoire is a reminder of how the multiple musical cultures of the world can interconnect and benefit from each other. Benoit Leseure, a young violinist from Rennes (France) who settled in Brussels some years ago. He combines a thorough formal musical training (Conservatoire de Paris) with an outstanding sense of improvisation as well as a continuous musical curiosity. He is extremely well at ease within this band which allows him to express his talent at it’s fullest. Alessio Campanozzi, a double bass/bass player who comes from Bari (south of Italy) and has settled in Brussels in 2012. He has participated in numerous fusion bands in Italy and in Belgium. He has a degree in film music and is currently undergoing additional training in the Brussels conservatory. Gauthier Lisein, another veteran from the belgian afro musical scene. 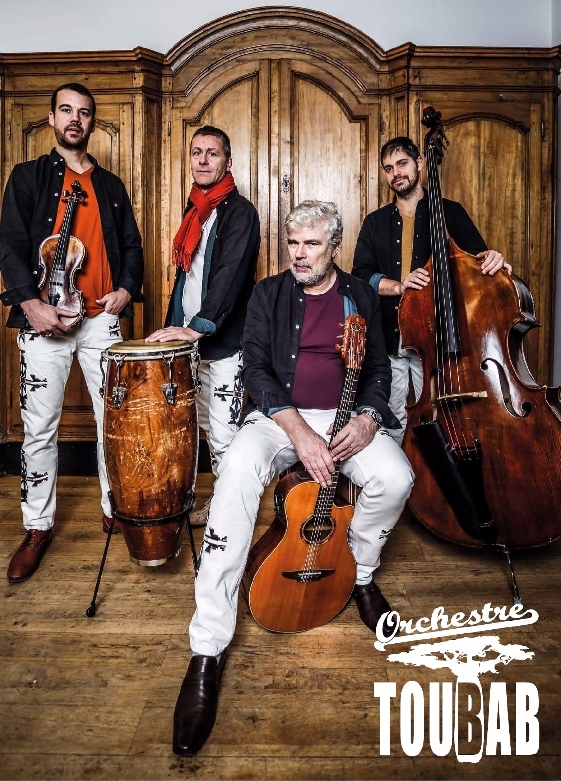 After his graduation from the conservatory of Liège he has participated in many musical projects which are generally connected to Africa (Nfaly Kouyaté, Ben Ngabo, les Petites Frappes, etc.) He is also teaching percussions in Brussels and in the Democratic Republic of Congo (Ibi-Village a combined agro-forestal and cultural project on the Batékés plateau).